The Accessibility for Ontarians with Disabilities Act was introduced in 2005 and lays the framework for the development of province-wide mandatory standards on accessibility. The act includes standards that are meant to assist those living with disabilities in their daily life and covers everything from customer service to transportation and the design of public spaces. Currently the Accessibility Standard for the Design of Public Spaces only applies to new construction and major changes to existing features and it covers recreational trails/beach access routes, outdoor public eating areas, outdoor play spaces, outdoor paths of travel, accessible parking and service-related elements like service counters and waiting areas. As it stands, the only accessible type of site furniture you are required to have is a minimum number of accessible tables and that is only mandatory in outdoor public eating areas like rest stops and picnic areas. However, with a push to increase accessibility in all public spaces and the potential for amendments to the regulations, we have designed a line of AODA compliant accessible benches to meet the future needs of our customers. 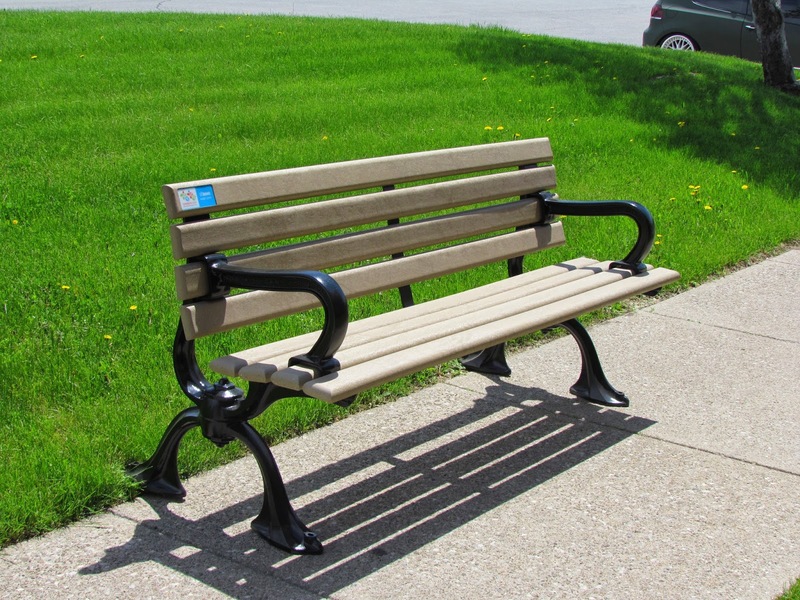 The Heritage is the most ergonomically correct bench in our line of accessible benches. It has a raised seat height of 19” and the curvature of the seat allows users to enter and exit the bench with ease. The built in lumbar support curves to the natural shape of the users back allowing for more support. For more stability when entering and exiting the Heritage, it features raised, molded arm rests for better grip and a centre arm is also available and recommended. Not only is the Heritage accessible but it is environmentally friendly, manufactured with 100% recycled plastic lumber and cast aluminum ends. The Heritage is also available as a straight model which features the 19” raised seat height as well as the molded arm rests. More modern compared to the Heritage bench, the Ergo is also ergonomically correct. It’s raised height of 20” at the centre and built in lumbar support make this bench easier on the knees and backs of the user. 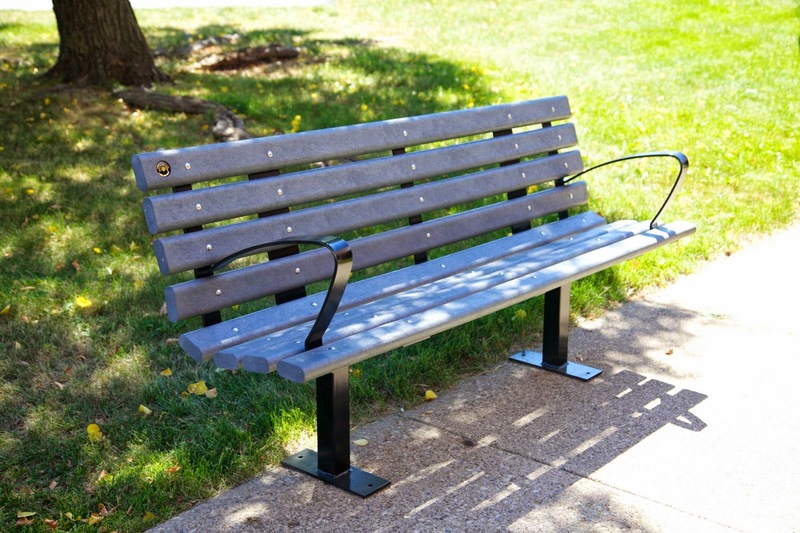 It’s raised, molded arm rests allow for better grip when entering and exiting the bench making it more accessible than the average bench in the park. 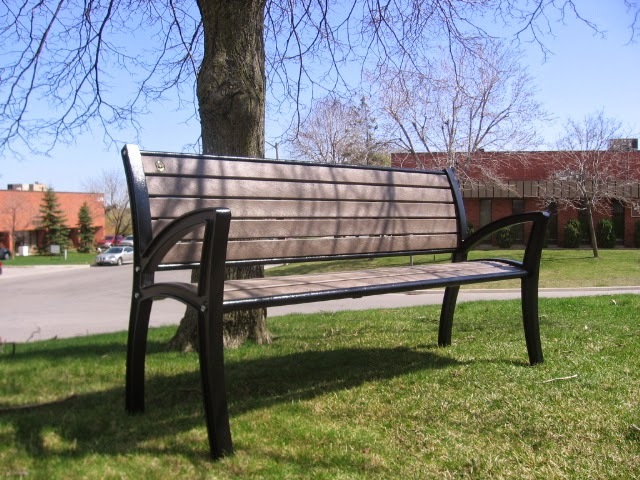 Our standard Riverside is one of our most popular benches (and is also the specified bench for the City of Toronto) and can be found in a number of parks not only in Toronto but throughout the GTA. To make adding accessible benches that match existing benches in parks easy, we have modified the Standard Riverside to create the Accessible Riverside. We’ve raised the seat height to 19” and recommend taking advantage of the optional centre arm for increased accessibility. Much like the arm rests on the Heritage and the Ergo, they are molded to allow for better grip when entering and exiting the bench. A straight model of the Accessible Riverside is also available. The Contour is the only bench in our accessibility line that can not only be surface mounted but in-ground mounted as well. 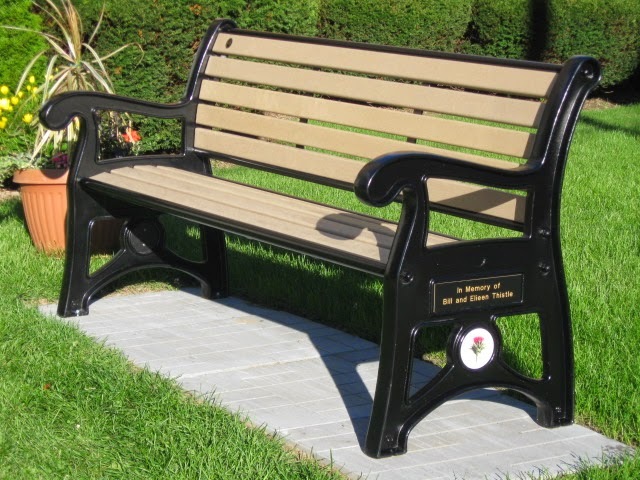 It features a raised seat height of 19” and raised arm rests to allow for easier entering and exiting of the bench. As with the majority of our accessibility models, the Contour has an optional centre arm that we recommend using. The Contour is available in a straight model that also features raised arm rests and both the straight and standard model are available in 6’ or 8’ lengths. Although the OADA doesn’t currently require you to have a certain number of accessible benches in public spaces, when we were designing this line of benches we were looking to the future and we encourage our customers to do so as well. The Silver Tsunami is on its way, coupled with a large percentage of the population of people that have disabilities. Both demographics require modifications to public spaces so they can enjoy them as well, and if those modifications aren’t there that’s less people that will enjoy your park or commercial or retail property. Don’t wait for something to become mandatory; begin making these changes now by replacing an old, worn out bench with an accessible bench or include a couple accessible models when planning a new public space. Making the changes gradually over a longer period of time will be a lot easier and more cost effective than making the changes all at once.